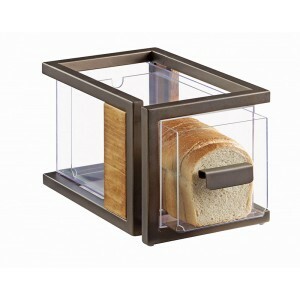 Sierra Single Bread Drawer - Cal-Mil Plastic Products Inc.
Keep your breads organized and clean with the Sierra Bread Drawers. Use one or more! They are easily stackable or can be used side-by-side. Constructed of rustic pine and bronze painted metal, these are both stylish and useful!